The Free Speech Wars: Has the First Amendment Outlived Its Usefulness? Is the norm of almost absolute free speech in the US going to survive? And should it? Is the Separation Between Church and State about to Crumble? The Supreme Court is one of the safeguards the Founding Fathers put in place to ensure the separation of church and state. But what happens when the bench is stacked with religious zealots? The value placed on free speech in the US is so high that some of the most abhorrent individuals and groups can have their say. This court case proves it. RadioWhoWhatWhy: Think You Know the First Amendment? Think Again. We take a random walk through what the First Amendment and the Bill of Rights are really all about with Burt Neuborne. Neuborne is the former national legal director of the ACLU and the founder of the Brennan Center for Justice at the NYU Law School. 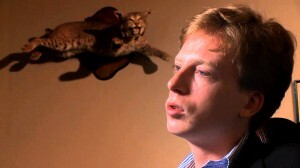 Journalist Barrett Brown, who exposed corporate and government machinations in the national security apparatus, has been sentenced to 63 months in prison. The damage his prosecution caused to free speech, however, may be incalculable.